Tommy McRae lived with his family in the upper Murray region of New South Wales/Victoria, on a reserve at Lake Moodemere near Mahgunhah and Corowa. He began drawing late in his life, and his drawings, made using readily available commercial ink, pens and sketchbooks, depict aspects of traditional Aboriginal life, the impact of British colonialism and the incursion of Europeans and Chinese onto traditional Aboriginal land. 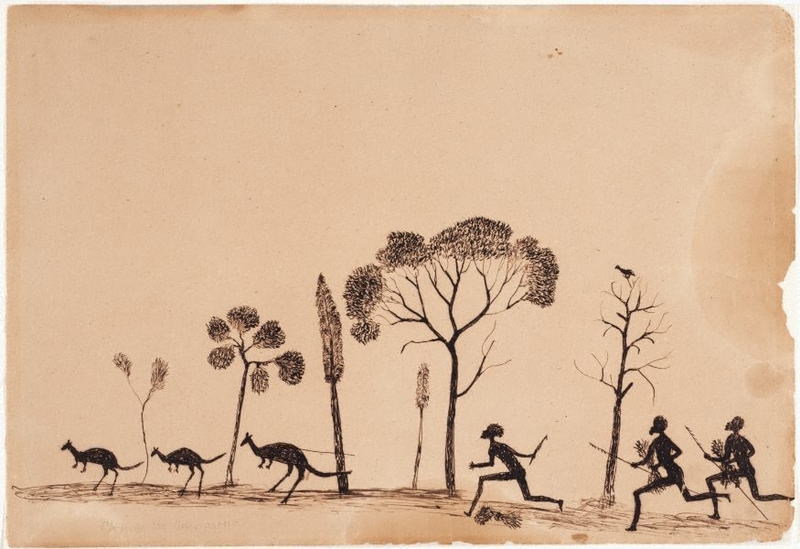 At the time, his drawings became popular for their novelty among non-Aboriginal audiences for their depictions of an exotic culture and parallels with contemporary European sporting and ethnographic pictures. Jonathan Jones: the tyranny of distance , 'Jonathan Jones in conversation with Hetti Perkins', pg. 12-19, Sydney, 2008, 17 (colour illus.). Hendrik Kolenberg, Look , 'Australian images from the past: whether rarely seen or familiar, these works move and delight us', pg. 24-27, Sydney, Apr 2005, 27 (colour illus.). Hendrik Kolenberg, 19th century Australian watercolours, drawing and pastels from the Gallery's collection , 'Introduction', pg. 6-16, Sydney, 2005, 10, 68, 69 (colour illus.). Cara Pinchbeck, Look , ‘Home: focus on the new Yiribana hang’, pg. 30-31, Sydney, Oct 2012, 30 (colour illus.). Ken Watson, One sun one moon: Aboriginal art in Australia , 'Poetic justice: An overview of Indigenous art', pg. 17-27, Sydney, 2007, 16 (colour illus. ), 17.